I'm not sure why it's taken me so long to get around to reviewing one of my favourite books. 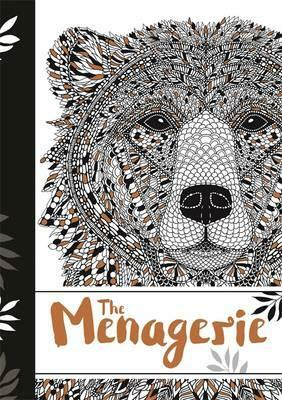 The Menagerie was Michael O'Mara Books' top title at the end of last year. It was launched with great fanfare and if you were lucky, you could even pick one up free on the London tube. This is the next book that I am going to colour my way right through. 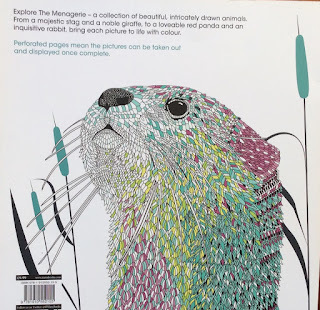 This month The Menagerie Postcards have been released (see link below) and the latest book from these artists, The Aviary, is reviewed - here. Coloured by Dorothy Nation after the colours of a sunset. My colouring for a yellow challenge. 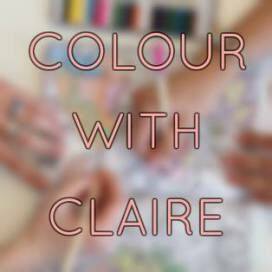 Who will love it - those who love colouring in animals, those who like drawings by Claire and Richard, and those who like images filled with patterns. I've been looking for an animal book to colour completely for a future grandchild. 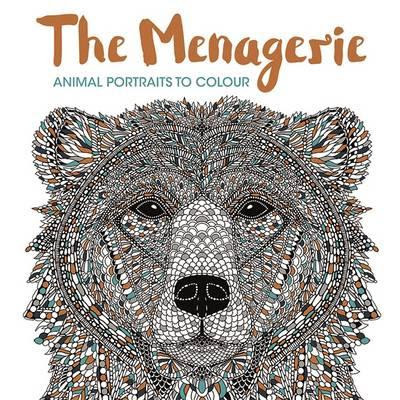 In particular Claire Scully is one of my favourite colouring book artists so when The Menagerie was launched, I had to get it! 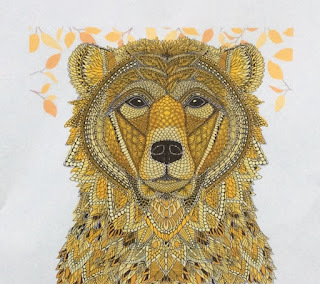 That stunning bear on the cover gets me every time I look at it. Along with very good drawing, this book ticks a lot of boxes (that I'll cover below). But perhaps most of all - it's not expensive. It is usually around the NZ$12 mark at Book Depository which is really cheap for such good quality drawing and production. Claire and Richard combine their similar drawing styles successfully in this book. Richard's style is closer to folk art, with more patterns while Claire has detail in keeping with the animal, be it feathers or fur. 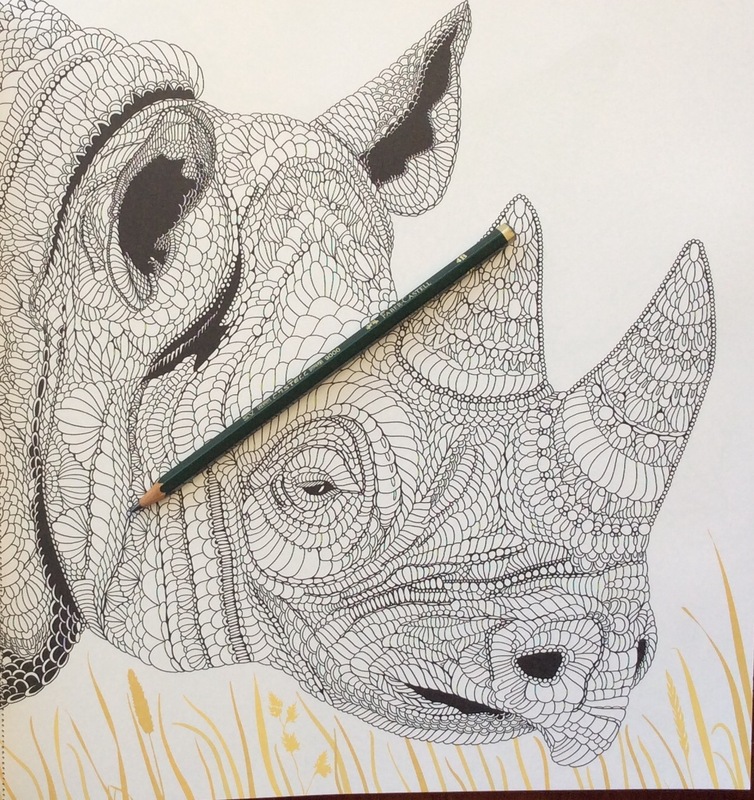 I think the tiger above is Claire's drawing while the Rhino below is Richard's. 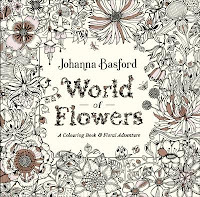 There are 31 images to colour and each image has some unobtrusive coloured background like a few leaves or flowers. I find these additions great as you can leave the rest of the background white or use these colours as a suggestion for a background colour. 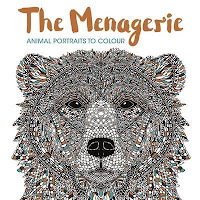 The book really is a portrait book with mostly animal heads either front on or as a side profile. 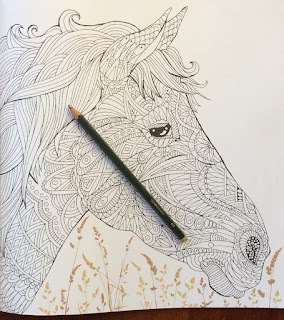 The level of detail is moderate to highly detailed and if you choose, you can lose yourself in colouring small segments, or you can take a block colouring approach which is what I do. In this instance I use the patterns as texture and shade more heavily on the more detailed areas. 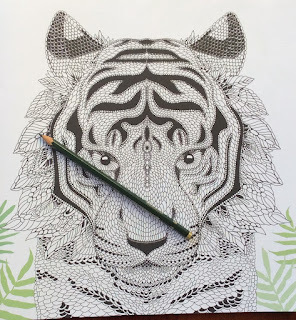 The fact that some of the animals like the zebra and panda are just black and white is a challenge I'm looking forward. There are many subtle shades that go into a white colouring. Dorothy's panda above is the reflection of a sunset on white hair which shows you what you can do with white! The back cover showing you a colouring style. This is not a small book being almost 30cm square but it doesn't feel unwieldy. 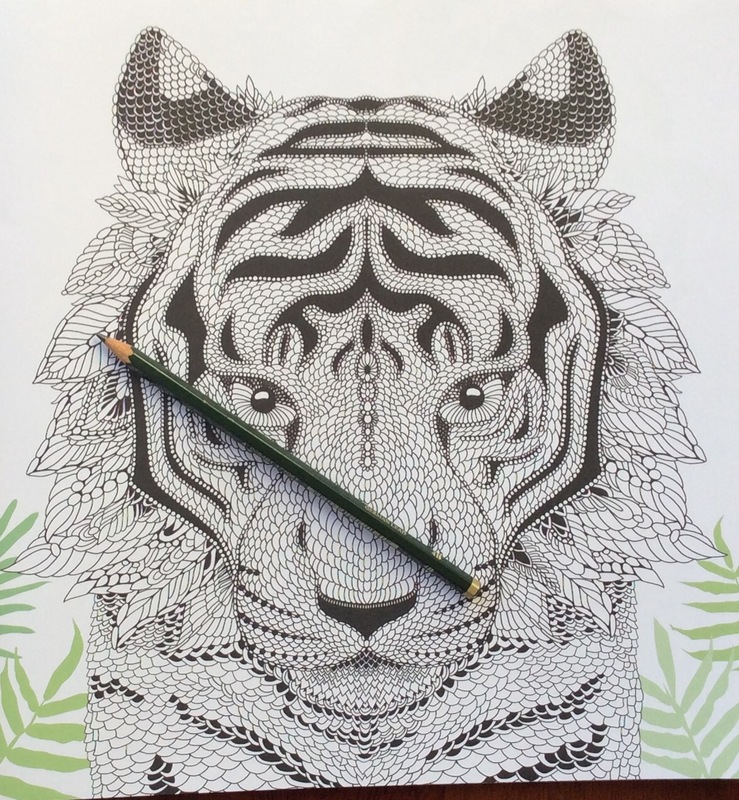 The pages are perforated for easy removal, so you can take a page out to colour if you prefer. 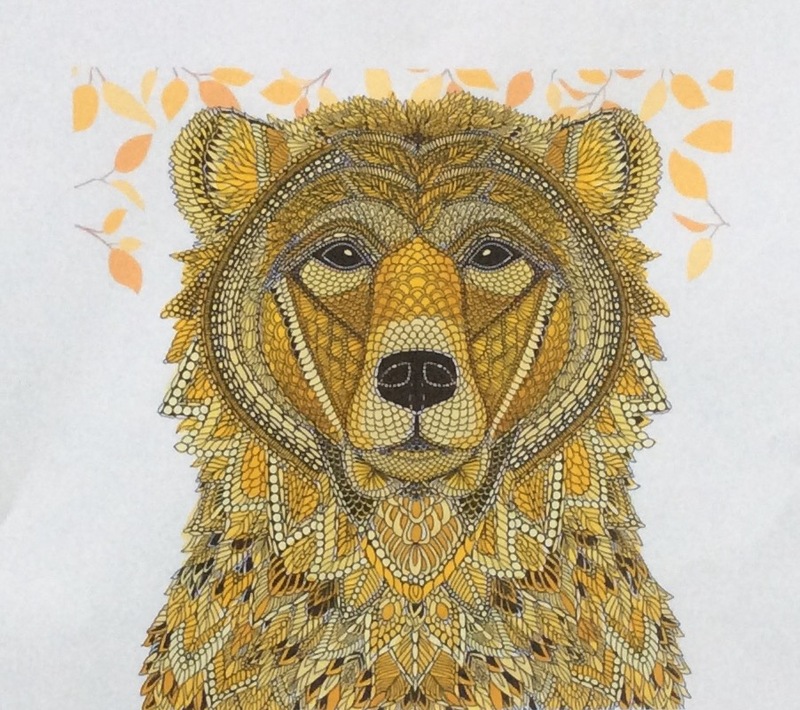 The cover has bright, shiny copper foil lettering with bits of silver foil on that beautiful bear. The images are all single-sided, on good to average white paper. This means that you can use your alcohol markers as it won't matter if they bleed through. The images look great coloured either realistically or in a riot of colour. I'll be doing a bit of research and taking the realistic colouring route. As well as making an attractive book, these images could be detached and made into a wall frieze if you wish. You could even give an uncoloured image or a postcard to someone special for them to colour in.